This was a dinner for us tonight. I had to come up with something delicious and nutritious, yet very simple and quick at the same time. I had a couple of big avocados on the countertop, and the idea for a yummy and a bit of a different meal was visualized! Yep, I just added a few strips of vegetarian (non meat) turkey strips and eggs to the avocado halves as a filling. 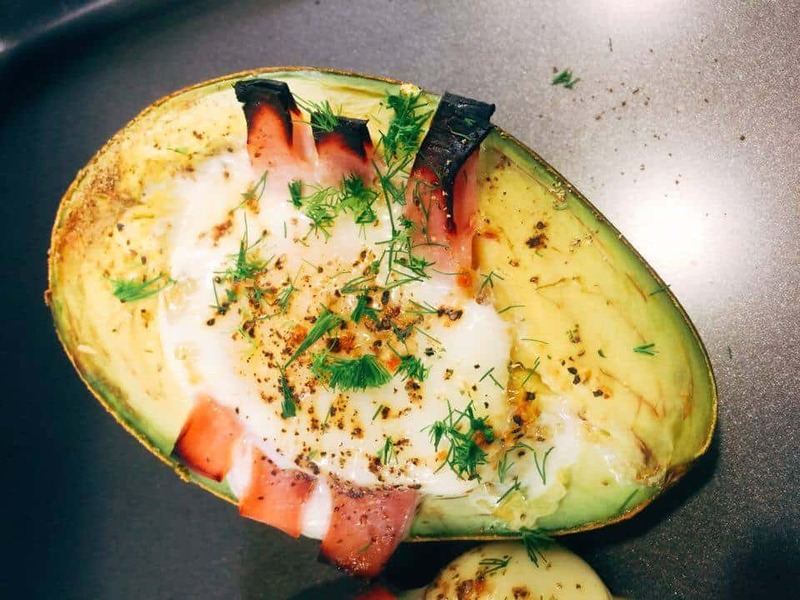 Then popped the avos with the filling into the oven, and in 20 minutes, I had this amazing, Omega-3-rich dinner. We loved it! While my avocado halves were prepping inside the oven, I pureed tomatoes, pieces of squash, red bell peppers, onions in my Vitamix mixer to make a tomato soup. Do you know that there’s a function in the Vitamix that makes hot soups in 2 minutes? Yep, just drop your ingredients and push the button. Voila, my dinner was ready in 25 quick minutes, not a minute more! Strips of sliced meat or smoked salmon to line the avocado hole. Halve the avocados remove the seed. If the hole looks small, scoop out a small bit at a time until it can hold an egg. Arrange the avocado halves on a cookie sheet, and line the hollows with strips of ham or smoked salmon. 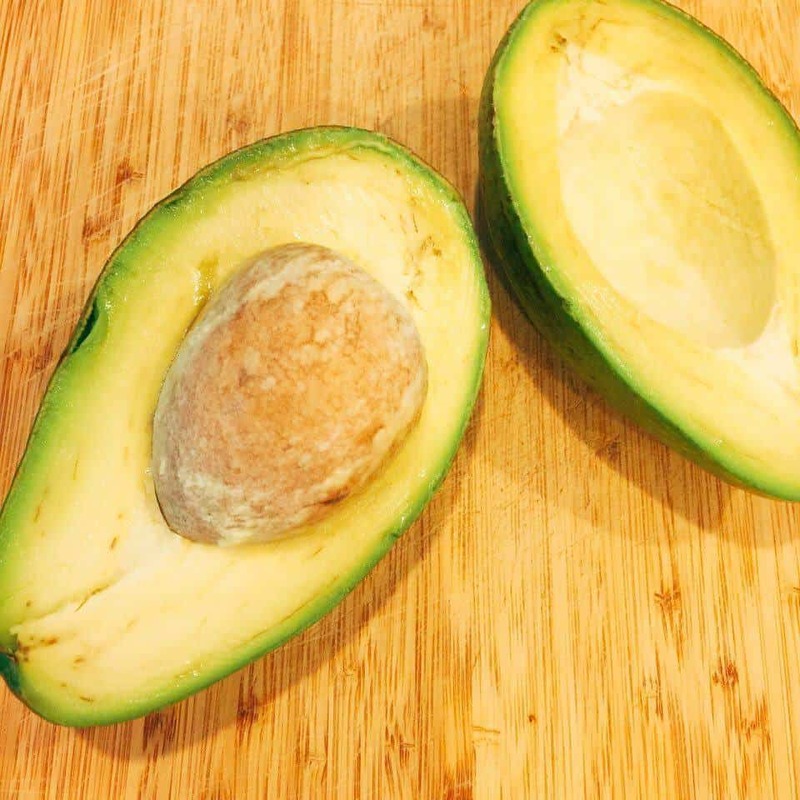 Crack each of the eggs into a small bowl, then spoon the yolks and however much white the avocado will hold. Add salt and fresh cracked black pepper on top of the eggs, to taste. Feel free to add your own herbs and spices. Gently place the cookie sheet in the oven and bake for about 15-20 minutes. Sprinkle fresh herbs and fresh dill on top. We Love Fresh Dill Here – Adding It To Many Meals! 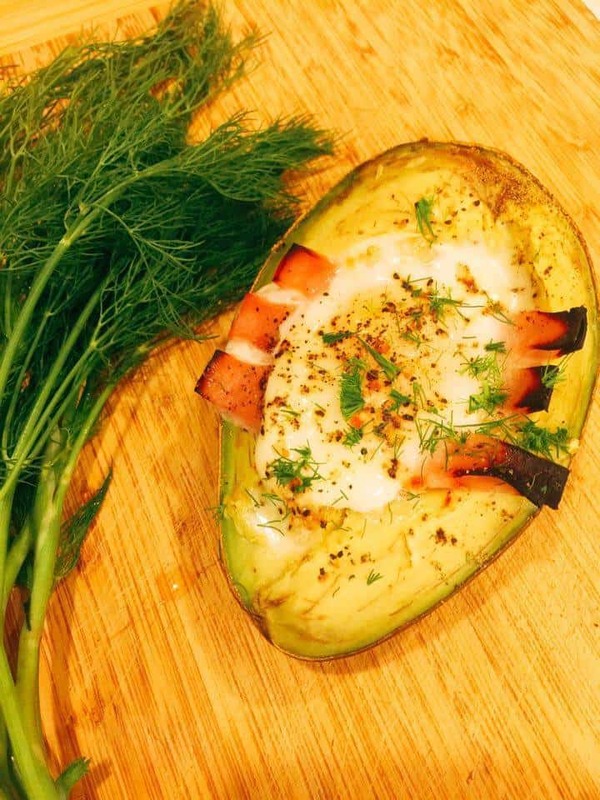 Add Herbs and Spices To The Baked Avocado Bowl – And Enjoy! 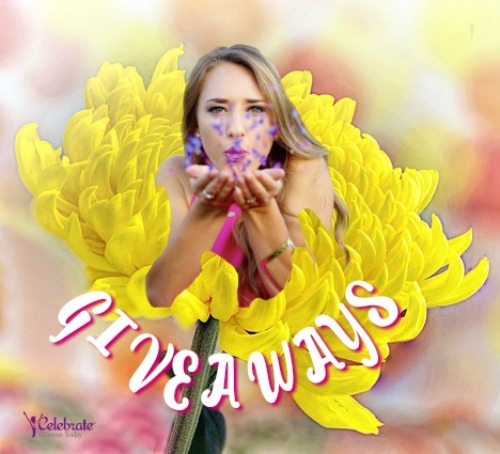 It Is Easy To Fall In Love With Yummy Foods – Join Your Tribe! I love avocados. They’re good alone or in anything. So versatile, and yummy! This looks awesome! I love avocado and eggs so this sounds perfect! WOW, this looks very good. I’ll be honest and share that I am not an Avocado fan. Don’t like the bland taste etc. But this step-by-step recipe makes it totally worthwhile. I just shared this with my husband. He’s the cook in the house LOL. 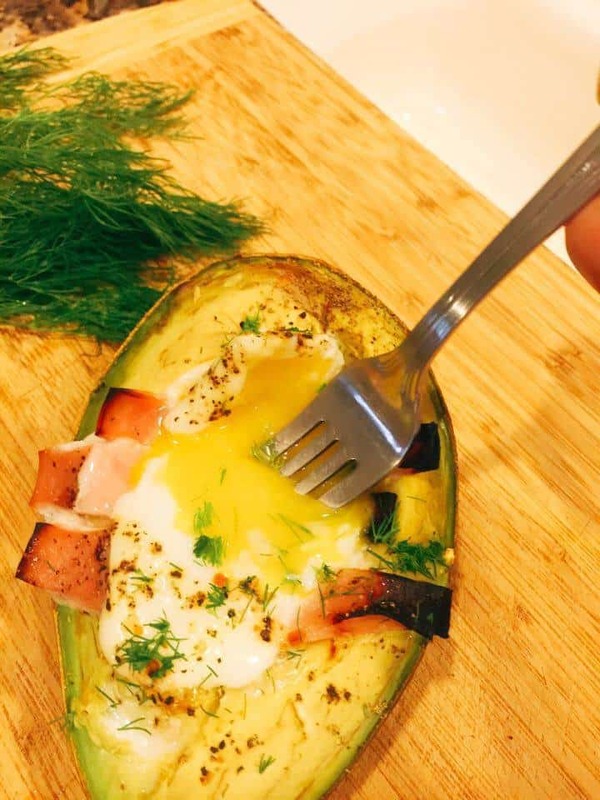 Great Idea, like a potato skin, but healthy! Sometimes I wish I could think of things like this, but then I realize I have the internet to help me out. Your recipe is very interesting. I never thought about making avocado into a dish. It does look yummy for breakfast or lunch. This is an easy recipe to make. Thanks for your recipe. This sounds really good, but I would use real bacon. I am always in need of quick dinner meals and this is a good one. Oh my goodness! This would be the best breakfast ever! I know my husband cooks a mean breakfast, but I don’t think anything he makes would compare to this. Avocados are so good! This recipe looks awesome. It is a perfect recipe to customize with various fillings. These look really good. I would love to try these tomorrow morning. Looks yummy. What a great idea! My husband and I love avocado for dessert but I love to try the way you prepare it. Oh this sounds so good. 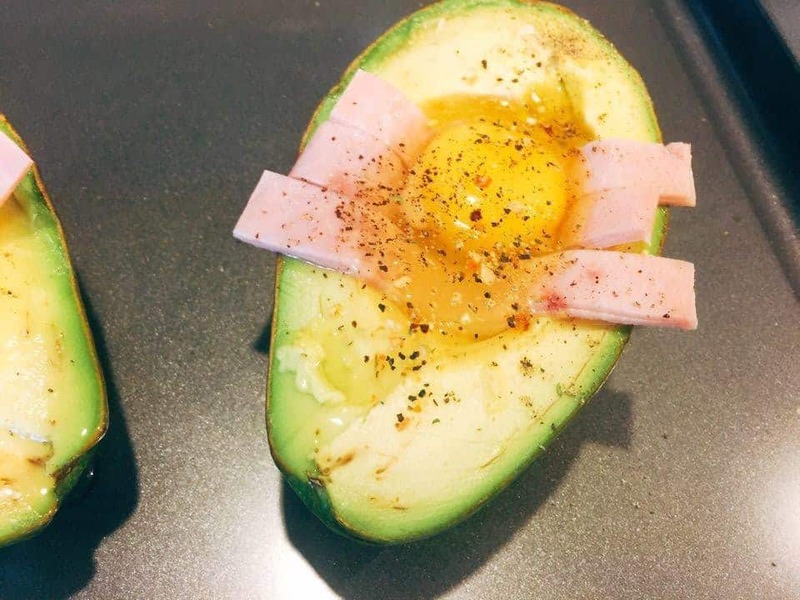 I think this is an awesome way to use avocados. I’d love to try a few different spice combos. This looks like a delicious option to try to make up for sure! I will give it a whirl this weekend! Avocado is one of my favorite foods of all time. I’d love to try avocado at breakfast time with some eggs. This looks delicious. What a fun way to eat less carbs and delicious all at the sometime! YUM! Avocados are so good in omelettes. I have never tried them with a baked egg filling before though. It sounds pretty tasty! We love avocados at our house but haven’t tried them with eggs yet. This is an interesting combination which we need to try. I really like that there aren’t too many ingredients and it’s ready to eat so quickly. 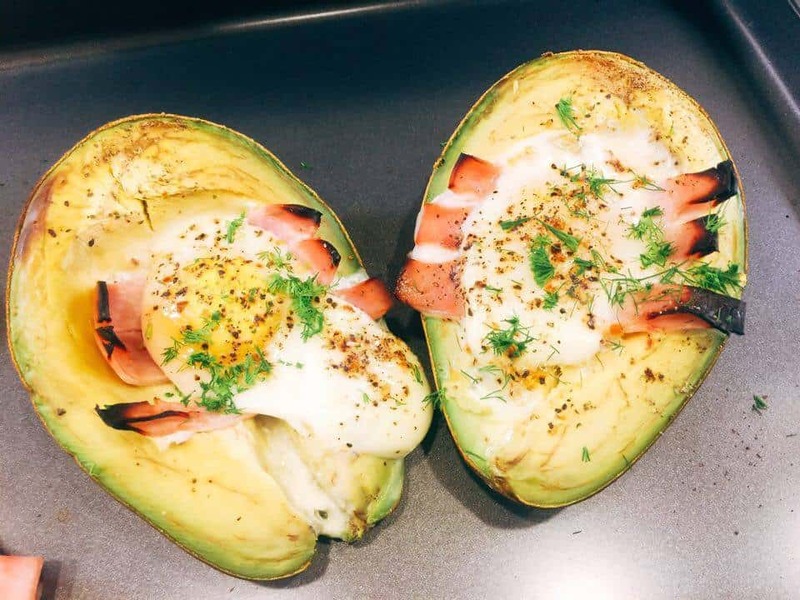 My husband loves avocados and eggs, so this would be a great recipe to make for him. It’s so pretty and colorful. I’ve never tried anything like this before.